Created in 1990, the Belgian company Delta Diffusion is a family company in origin that has taken on outside people as it has grown, benefiting from the skills that they have to offer. Having started off with a limited range of products distributed only in the Benelux, we now have two extensive ranges that are finding success throughout the world: Delta Baby & doomoo. 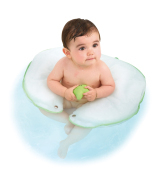 Our products are original and practical and are all designed to make life easier for parents and their babies. Always on the lookout for innovations in the world of childcare, our team - made up of new parents – develops, selects and produces articles that demonstrate the care taken to ensure innovation and quality at the best possible price. Most of the products are manufactured in Belgium. Safety is at the very heart of our concerns. Every article that we produce is subjected to rigorous tests carried out by international safety control institutions such as the TÜV (Germany), LNE (France), ICE (UK). At Delta Diffusion customer satisfaction is a priority along with research and development into new and better products! The Delta Baby products are those indispensable items that every new mother-to-be has to have in her baby bag. On a trendier note, the doomoo products bring together design and comfort for the whole family.